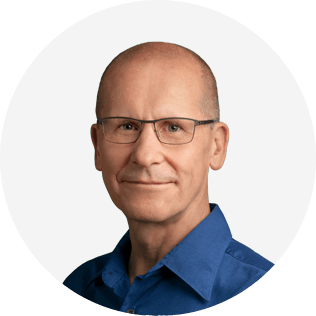 As Google’s head of Executive Coaching and Leadership, David coaches senior leaders, manages Google’s network of external and internal coaches, and supports leadership, learning, and executive development initiatives at Google. Before joining Google in 2011, David served as leader of world-wide coaching services for PDI Ninth House (now part of Korn Ferry). In addition to coaching top leaders in organizations such as Salesforce, Sandisk, Microsoft, Hewlett-Packard, Target, Wal-Mart, Shell, Genentech, Mayo Clinic, Harvard, and Stanford University, he provided consultation and thought leadership on how to design and manage organizational coaching programs, how to develop high potential leaders and critical talent, and how to accelerate learning and leadership development at all levels. David has published dozens of articles and chapters on coaching, is co-author of Development FIRST: Strategies for Self-Development and Leader as Coach, with over a million copies in print, and co-editor of the Handbook of the Psychology of Coaching and Mentoring. He earned his PhD in Counseling and Industrial/Organizational Psychology at the University of Minnesota. He is a Fellow of the American Psychological Association, the Society of Consulting Psychology, the Society for Industrial and Organizational Psychology (SIOP), and the Harvard Institute of Coaching. His awards include the RHR International Award for Excellence in Consultation (Society of Consulting Psychology), the Outstanding Achievement Award (California Psychological Association), and the Vision of Excellence Award (Harvard Institute of Coaching). David lives in San Francisco with his wife, Alexis Shoemate, and two adorable Tibetan Terriers named Pinot and Cab.